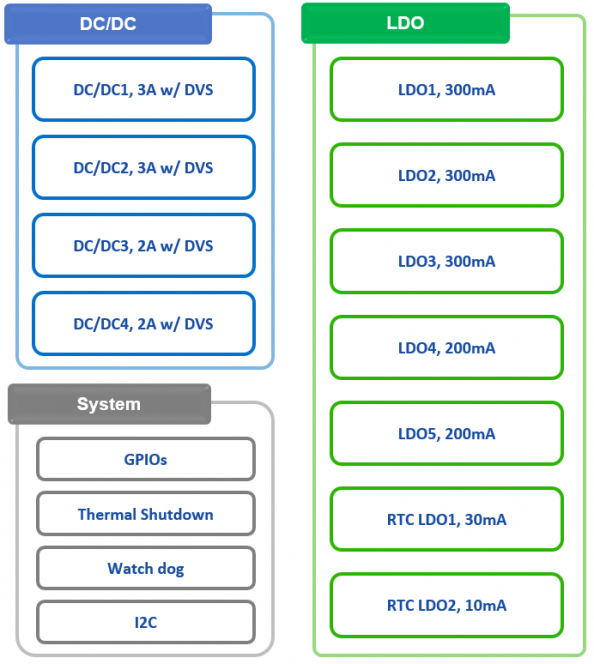 NXE1500PMIC optimized for Low/mid-performance Smart devices requires single to dual core AP – Nexell Co.,LTD. NXE1500 is the power management IC for GPS-PND/MID and Smart devices. It integrates four high-efficiency step-down DCDC converters, seven low dropout regulators, power control logic, I2C Bus interface, voltage detection, thermal shut-down and etc.